Copyright �2009 PopEntertainment.com. All rights reserved. Posted: January 12, 2009. At a recent press conference in New York preceding its premiere, the essential members of the Revolutionary Road cast (Leonardo DiCaprio, Kate Winslet, Michael Shannon and Kathy Bates) and director Sam Mendes answered questions before a small room of journalists. Of course, the big news � that the film re-unites actors DiCaprio and Winslet, who first made their mark in Titanic as a couple madly in love � drove the interest in this film about the disquieting side of the 1950s corporate society. It also drove the nomination of the film and some of its cast for the 2009 Golden Globes (Winslet won for Best Actress) foreshadowing the upcoming Oscar nominations. In Titanic, these two come together against the odds of diverging social backgrounds and relationships and with the backdrop of the tragedy about to occur. Audiences were stirred by the burgeoning love affair between them. In Revolutionary Road, the opposite happens. Audiences see the destruction of a relationship never really fated to be, sort of thrown together by expectations they have for each other but are never realized. In fact the two don't really share much or see eye-to-eye about their goals and life in general. Based on the late Richard Yates '60s novel which described the unfulfilled life about the alienation of the '50s (and led to the rebellion of the '60s), Winslet plays actress wanna-be April who meets the diffident but charming Frank Wheeler at a party; they share their dreams of an individualistic life. Ultimately though, unrequited dreams and emotional frustration beset their relationship as they start to have a family. Wheeler sets aside his vague goals and falls into the same man-in-the-grey-flannel-suit salesman's life his father had had. April feels the anomie of life lacking personal accomplishment and they became further estranged leading to a tragic ending and damaged lives. This is obviously a movie about a troubled marriage. Would you say it's because of a failure to communicate? 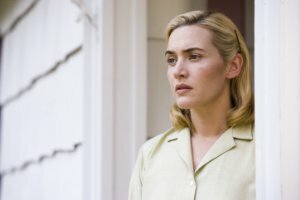 Kate Winslet: It's a combination of different things, it's an inability to communicate, or certainly more to do with the fact that they have forgotten to communicate with each other for some time, and it's only when April turns around to him and says, "We can't go on pretending that this is the life we wanted," that they are both then truly forced to question exactly that. For April, it's very clear that this isn't the life she expected for herself, and Frank is then forced to question that too. And it's at that point that they realize maybe they aren't the people they were when they first met, they want different things from life. And April, ultimately, is so determined to find happiness; to feel something again other than what she has, that she's prepared to risk anything in order to get that, which to me is a very heroic act, and not a cowardly one. Leonardo DiCaprio: And my character, on the other hand, is very un-heroic and cowardly [laughs] which is the truth. Ultimately, he's a product of his environment, he doesn't have the courage to manifest any tangible change in his life. On the one hand, April is wanting to risk everything for a new opportunity, or to pursue the dreams that she once had of what she wanted her life to be, and ultimately my character is my father's son�I want to conform to my environment. Is it about two people that don't communicate enough? I don't think that's the truth. It's about two people that are being forced apart, but are desperately trying to salvage their marriage and stay together. I think their trains on different courses. Ultimately, the fa�ade of what Paris represented, the ideals of what Paris was to them, it was an opportunity that could or could not have resulted in something positive or tangible. But, I think they were people that were being forced apart by different intentions for what they wanted their lives to be. Kate Winslet: Also, I think [abandoning the suburban life of Connecticut and moving to] Paris represents, for April, possibility, hope, and change. The notion that she might be forced to live a life without possibility is ultimately, just the kiss of death. Having worked together before on Titanic, were there any surprises was this time around? 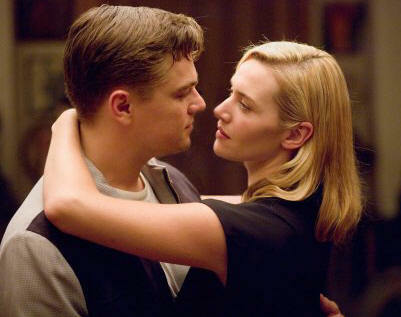 Leonardo DiCaprio: Well, Kate and I have remained close friends for many years. Since Titanic, I think we've been both actively looking for the right project to do. The fact that Sam was attached to this, the fact that this was a great piece of material and such a departure from what we'd done before � this wasn't at all treading on similar territory, and we knew that that is a complete set-up for disaster, having done Titanic. We knew we needed to try something completely unique, it was just about finding that project. And this was something that Kate was shepherding for many years, and putting the pieces together, and I felt very fortunate to be chosen for it. As far as how Kate's changed or not changed, I think that she's always had that pursuit of excellence within the characters she plays � she's got an unbelievable work ethic that she's retained ever since I knew her in her early 20's. She cares about the movie being great, and the other actors involved, and everything � that's all still there. What has changed, since that movie, she's done quite a bit of work, as have I, and we don't approach the filmmaking experience quite the way we did in our early 20's. We don't look at the director or the producers involved as parental figures, which I feel is what we did in our teenage years � we were constantly looking for that guidance. We come into movies now as kind of equal pieces to the puzzle, and bring our own ideas for what the movie should be and, for lack of a better term, we're more like "adults," whatever that word means. Kate Winslet: Any major surprises? I think he's nicer than he was (even if that's possible); he's funnier than he was (even if that's possible); and he's a better actor than he was (even if that's possible). And quite honestly, playing Frank and April Wheeler, there was a surprise every day. I just loved so much playing some of the difficult scenes with Leo, knowing that because of the trust we have as two people having known each other for so long, that there were no boundaries; that was a real gift to have as two actors playing these parts. And to be able to do off-camera dialogue for him, and to have to stop myself from crying because I was seeing someone for whom I have so much respect doing things as an actor that I've never seen him do before, and morphing his face into positions that I've never seen him morph his face into before, as an actor or as a person. There were moments like that pretty much every single day. Was there one scene that stood out as the most exciting or most rewarding for the two of you? Leonardo DiCaprio: The most rewarding? What was interesting about the way Sam set this whole film in motion was he [that] really attacked it like he would a theater production. He realized it was an ensemble piece that depended so much on the actors, and listened to all of our different ideas endlessly in the rehearsal process. Then what we got to do was sort of live this tiny microcosm of a life in a four-month period in almost real time. It was bizarre because we shot the beginning sequences at the beginning, and there was so much unsaid throughout the first two-thirds of the film, so much pent-up within these characters, that when the kettle sort of explodes at the end of the movie, all that stuff felt ultra-realistic because we were confined to this tiny suburban house for months at a time. And there was so much that our characters had wanted desperately to say to each other. When those scenes finally happen, that was something I was really looking forward to, because I just felt, certainly doing it with Kate as well since there's such a comfort level we have just being friends and knowing, that we have the best intentions for each other, like she said. So we can be brutally honest and savage to each other onscreen and we trust each other in that regard, so that was the stuff I was looking most forward to, and I think it was ultimately fun. Kate Winslet: For me, one of the most memorable scenes that we shot together was the breakfast scene at the end of the film, because I remember reading it on the page and thinking, "How the hell are we gonna get through this? How on earth are we gonna do this?" And everything about that scene took me by surprise, from the way that it was lit in that incredibly stark, beautiful, naked way; from the way that Sam really steered us through the very difficult emotions. Rhythmically, the scene is very delicate; and I remember feeling very strongly that Leo and I were very much in Sam's hands when we were shooting that scene, because it was so difficult for us to have a kind of sixth sense of what we needed it to be. All we knew was that we had to be very honest about every word we were saying, and we just had to trust in Sam so completely, because emotionally it was just very difficult to get through. Was your character a heroic figure? Kate Winslet: I feel that April is a heroine. I didn't feel she was a coward, neither did I feel she was suicidal, and I certainly didn't think she was bipolar. But I do believe that this was a woman that was taken to an emotional brink in her pursuit of happiness, and I think it literally sent her mad, I really do. And in giving herself an abortion, I don't think that she was intending to kill herself, but she knew that it was a very big risk, and there's something incredibly courageous and stoic about that. And it's a fine line, you know? It's very difficult to translate those two things simultaneously. And Leo, your character is such a tragic figure. Do you think he ever recovers? Leonardo DiCaprio: Where do I begin? I think what's interesting about the novel and the way Yates writes all these characters is that the sympathy shifts constantly throughout the course of the book. Where you think Frank is sort of despicable for cheating on his wife at the beginning of the film, at the end of the film you realize that he's the one trying to salvage the relationship. I just loved playing a character that just slightly fell short of his ambitions. I thought it was just a compelling thing to do. He just did not have the courage at the end of the day to follow through with the life he wanted. He would be happier conforming to his existence. Do you think the '50s were as much a character in this film? 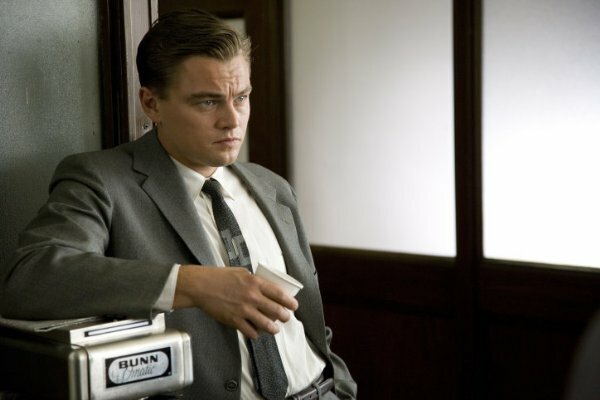 Leonardo DiCaprio: At first, having read the novel and read the script, I thought the '50s was a huge component. This was the era of prescription medication, and we're moving to Levittown and the suburbs, and trying to have that symbolic American family existence drove a lot of people nuts. But I thought as much as that was a product of the movie, once we did the film a lot of that stripped away, and a lot of that became a backdrop to the emotional drama of these characters lives unraveling. 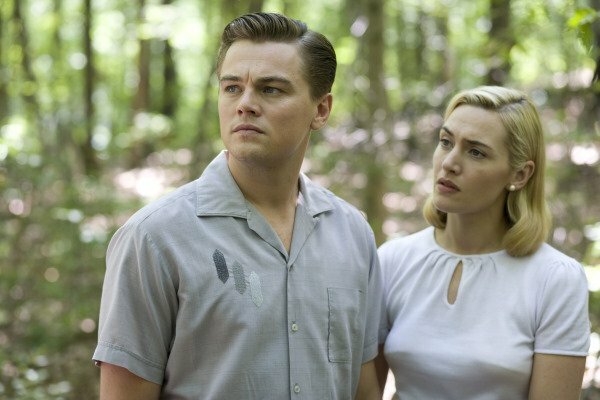 What did you think about the plight of oppressed women in the days of Revolutionary Road? Kate Winslet: We should also share this question with Kathy. But, one of the things that was so touching to me and moving to me about April Wheeler was that this was a woman who seemed to me, like so many women of that time, whose interior world was so much bigger than her exterior world. I'm very different to her, and I had to find a way of understanding her and loving her, which I did and which I do, but it was not always easy. She's a very complex and complicated women, who has no emotional outlets. I'm lucky, I get to express my passions and the spirited side of myself, and the strong-willed side of myself through the jobs that I do. I was so moved by April's lack of emotional outlet, and it was just crushing to me, and it was very difficult to play. Frank and April, they do see themselves as being slightly more glamorous than everybody around them, and in many ways I think that that's the one thing, actually, that's kept April going, living this life that she's really unhappy living. She's somehow managed convinced herself that everything's okay because they're not like the Campbells [their friends], they're not like the Givings [their neighbors], they're just a little bit better than everybody else. She goes to Frank, "We can't go on pretending that this was the life we wanted," and in many ways she's incredibly brave, even to be able to admit that to herself. So many women were coasting along and living this lie because they simply had no other option, and as Leo said, prescription medication and sneaking beverages midday all began during that time. With this and The Reader, you are competing against yourself in various awards races � especially since the Oscar noms are upcoming. How do you feel about that? Kate Winslet: I'll answer the last part of your question first. I feel very proud of both of these films, and proud to be a part of them, and quite honestly, I don't know how categorizing of actors even happens. I really truly don't. It certainly has nothing to do with me, it's incredible to be talked about in that way, and I can only hope that I can live up the expectation. I hope the work speaks for itself, and it's my job to make myself available to support both these films equally. Leo, you've done a lot of big movies with many famous directors, including Martin Scorsese four times. What did Sam Mendes bring to the table as a director? Leonardo DiCaprio: He knows how to work with actors, that's simply it. He's kind of masterful at that. And he realized very early on that we'd all have questions about our characters, and the true intent of our characters, and he let us unleash a lot of that. We got to express all our doubts and disbeliefs of what our characters intentions were, and what we felt, and he listened to a lot of that, and asked us these very penetrating questions. Sometimes it's jarring, when you're in the middle of doing a scene and he says, "What do you think your character's really doing this for?" You have to stop and say, "Actually, I didn't think of that. I have to admit you're right� I should have an answer for that, but I don't. Let me think of that answer." That ability to question his actors in a very gentle way, it gives you all that subtext that you need. I could go on and on about it, but I think you get the picture. 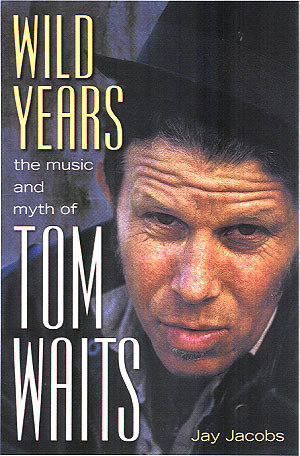 #1 � 2008. Courtesy of DreamWorks Pictures. All rights reserved. #2 � 2008. Courtesy of DreamWorks Pictures. All rights reserved. #3 � 2008. Courtesy of DreamWorks Pictures. All rights reserved. #4 � 2008. Courtesy of DreamWorks Pictures. All rights reserved. #5 � 2008. Courtesy of DreamWorks Pictures. All rights reserved. #6 � 2008. Courtesy of DreamWorks Pictures. All rights reserved.